A Range of carefully created metal shades with crystal properties to enhance and compliment any chandelier where the lamp is exposed. 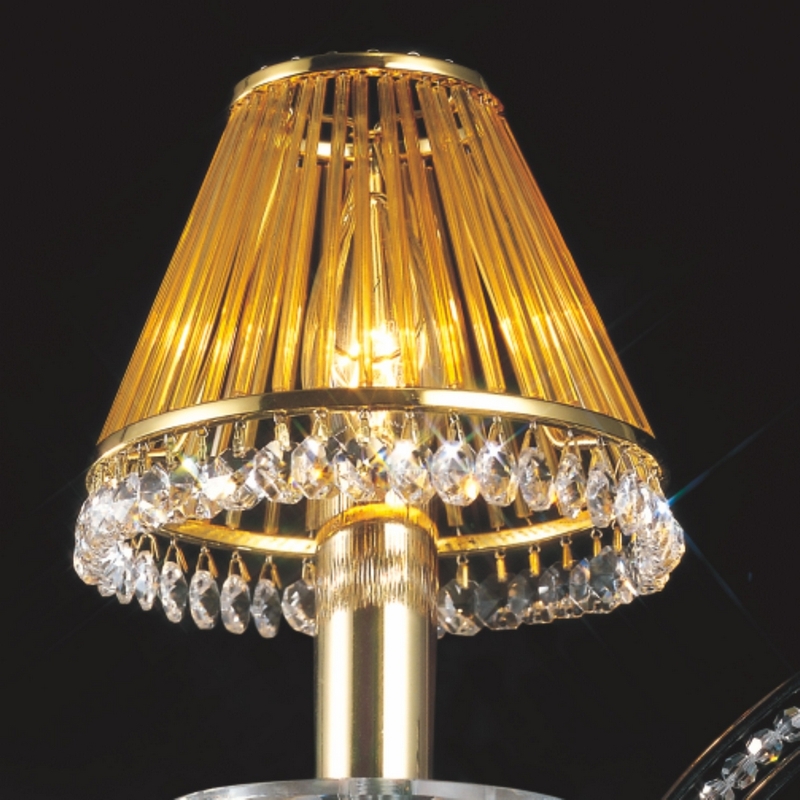 The glass rod version is hand crafted by attaching all the glass rods to create the surface of the shade and then finished with octagon crystals around the base. The crystal vinyl version is created from and exclusive material that exhibits sparkling crystal properties when illuminated.